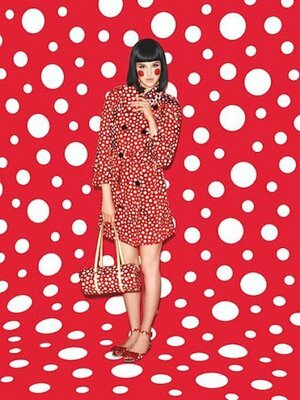 Louis Vuitton debuts their 2012 summer collection by famed Japanese artistYayoi Kusama, scheduled to launch Junly 10th. 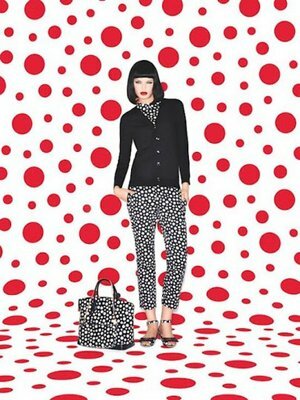 Kusama is known for her circular artwork, which explains the dotted print throughout the collection. 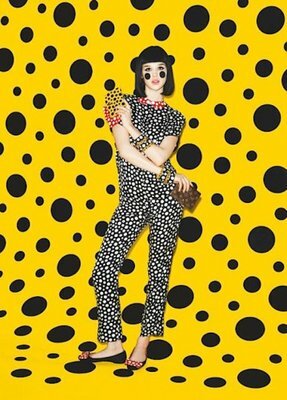 The collection is playful, fun and nothing short of colour. I’d say this collection is made for the bold fashionistas. ﻿Not a print person? Select pieces from the collection to pair with your basic pieces for a pop of print in your look. Let’s not forget the background art as well. I kinda smell a 70s modern disco quirky vibe.